(Nanowerk News) Scientists today presented a design strategy to produce the long-sought artificial leaf, which could harness Mother Nature’s ability to produce energy from sunlight and water in the process called photosynthesis. The new recipe, based on the chemistry and biology of natural leaves, could lead to working prototypes of an artificial leaf that capture solar energy and use it efficiently to change water into hydrogen fuel, they stated. Their report was scheduled for the 239th National Meeting of the American Chemical Society (ACS), being held here this week. It was among more than 12,000 scientific reports scheduled for presentation at the meeting, one of the largest scientific gatherings of 2010. 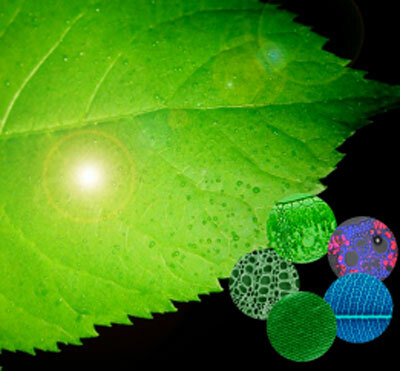 See also our Nanowerk Spotlight article on this research: "Nanotechnology artificial leaves for hydrogen production ". The scientists first infiltrated the leaves of Anemone vitifolia - a plant native to China - with titanium dioxide in a two-step process. Using advanced spectroscopic techniques, the scientists were then able to confirm that the structural features in the leaf favorable for light harvesting were replicated in the new TiO2 structure. Excitingly, the AIL are eight times more active for hydrogen production than TiO2 that has not been “biotemplated” in that fashion. AILs also are more than three times as active as commercial photo-catalysts. Next, the scientists embedded nanoparticles of platinum into the leaf surface. Platinum, along with the nitrogen found naturally in the leaf, helps increase the activity of the artificial leaves by an additional factor of ten.